http://www.Brikcius.com - Frantisek Brikcius: Czech Cellist - Project "In the Memory of Růžena Grebeníčková I. & II." In the memory of Růžena Grebeníčková I. & II. "IN THE MEMORY OF RŮŽENA GREBENÍŘKOVÁ I." "IN THE MEMORY OF RŮŽENA GREBENÍŘKOVÁ II." 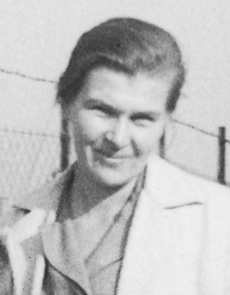 Růžena Grebeníčková, the leading Czech literary theorist and scientist, was born on 1st November 1925 in Sušice. She graduated in real gymnasium in Přerov. From 1945 - 1949 she studied at the Philosophical Faculty of Charles University in Prague, philosophy, French and comparative literature. She completed her studies with a PhD in 1952. During this period, she met her future husband, philosopher Karel Kosík, with whom she had three children (Antonín Kosík, Irena Kosíková and Štěpán Kosík). Since 1961, when she became the candidate of Sciences (CSc.) until retirement in 1981, she was gradually researcher at the Institute of Slavonic Studies, the Department of Modern Languages and Literatures and the Institute for Czech and World Literature of the Czechoslovak Academy of Sciences. Main subject of her literary-historical research was romanticism era, modern novel problematic and theatre. She focused on Russian, French, German, Austrian and Czech (Karel Hynek Mácha and Jiří Weil) authors. She translated from the German. Between 1974 and 1976 she explored the walking path in the footsteps of Mácha's diary "Cesta do Itálie". She published names of her friends and aliases (Helena Matoušová, Miloslav Jehlička, Jaroslav Kudrna, Aleš Hauzner, Věra Saudková a Jiřina Táborská). In 1968 the Czechoslovak writer awarded her the A. M. Píša prize for her "Realita slova Máchova". She received a prestigious international Herder Prize (1985) as a significant contribution to literary science. For her "Literatura a fiktivní světy I." she was awarded the Czech Literary Foundation Prize (1996). She died on 21st July 1997 in Prague.